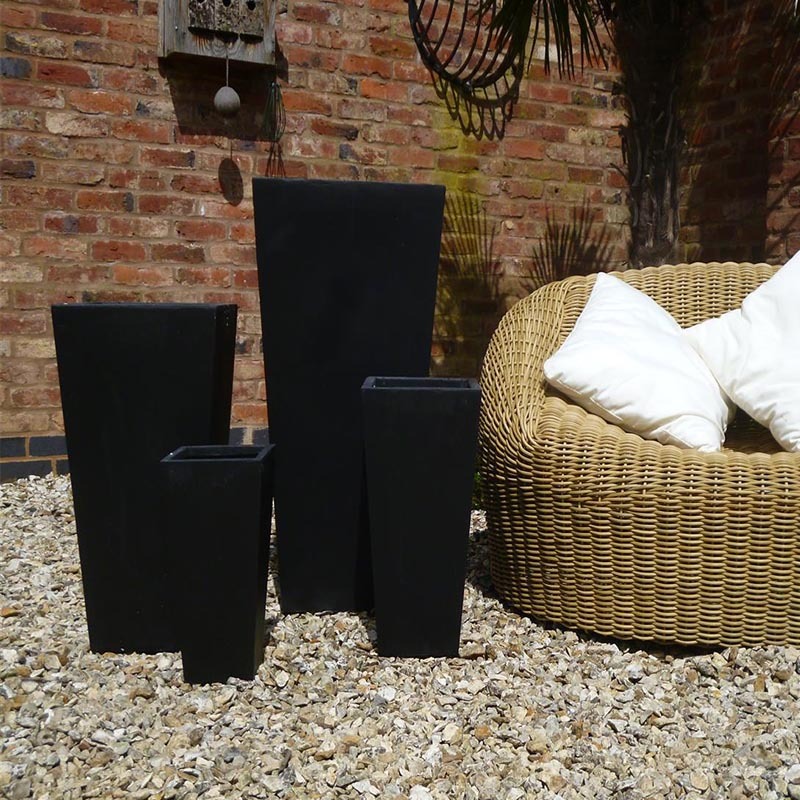 These Traditional Garden Pots are manufactured from the latest environmentally friendly material Ôfibre clayÕ, a composite of clay, fibreglass and magnesia which is much stronger conventional terracotta/clay and much cheaper than polyresin or fibreglass. This construction offers superior strength and stability in construction, resulting in a fantastically durable, lightweight product. It also produces a much more natural looking, durable plinth, ideal for outdoor use. Sizes - Small: 18 cm x 18 cm x 38 cm Height ; Medium: 24 cm x 24 cm x 50 cm Height ; Large: 32 cm x 32 cm x 65 cm Height ; Extra Large: 42 cm x 42 cm x 89 cm Height.